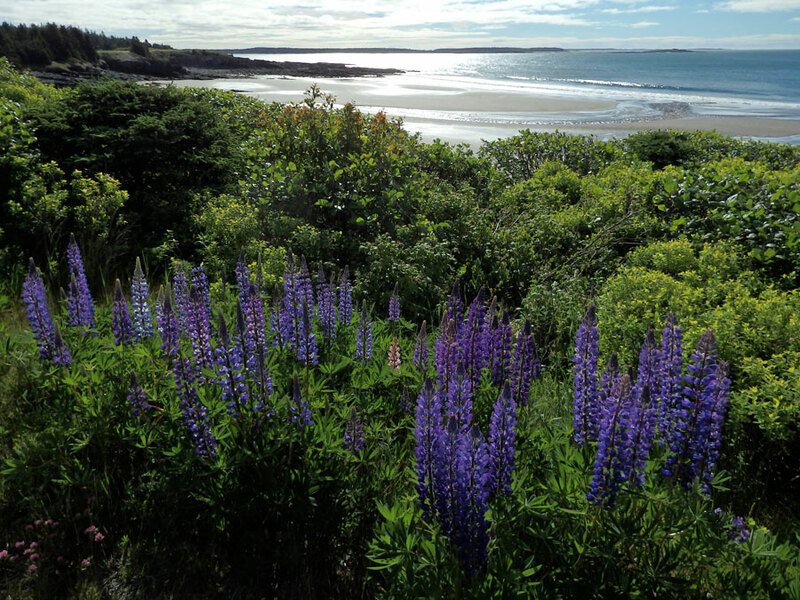 From lighthouses (three on the island itself and several more within view of the island) and sandy beaches to island crafts, hiking and birdwatching, Grand Manan offers something for everyone! Learn more about this unique destination. 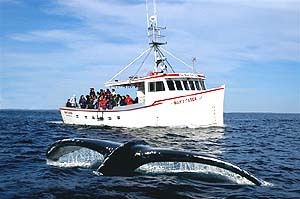 As the the longest operating boat tour on Grand Manan, we invite you to share in our knowledge and expertise of whales and pelagic birds. 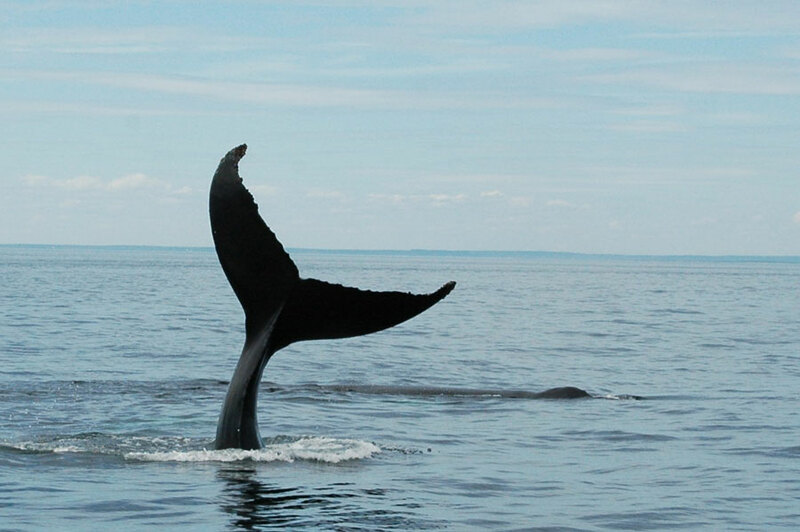 Our whale watching tours are sure to delight you with "more whales, more often than anywhere else in New Brunswick" not to mention all the pelagic birds we'll attract to our boat for your observation. Whales are guaranteed or there is no charge! 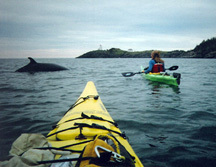 The most common whales in this area are the North Atlantic Right Whale and Humpback. Other marine mammals which visit our waters are finback, and minke whales, harbour porpoise and atlantic white-sided dolphins. Basking sharks and tuna are also common sightings. 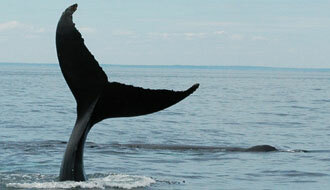 We would love to share the unforgettable experience of whale watching with you. We will make it educational and enjoyable and help you make memories to last a lifetime. 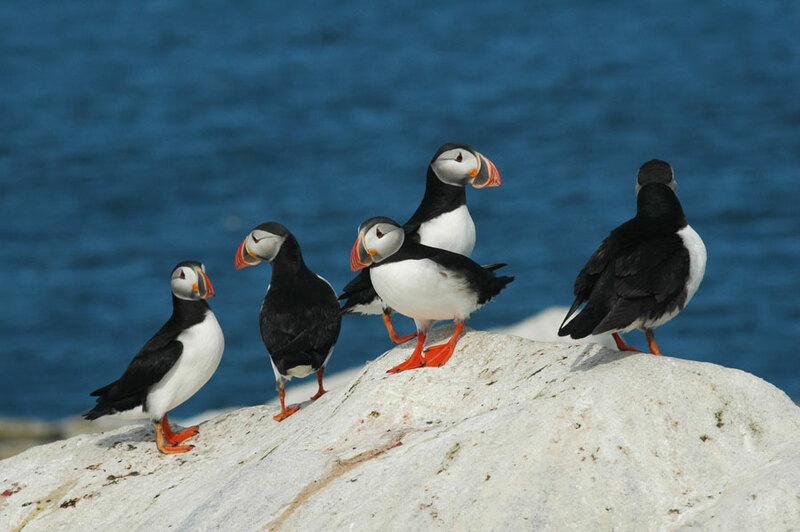 Tours to Machias Seal Island to view the atlantic puffin, arctic tern and razorbill auk are a real delight for bird watchers and naturalists alike. 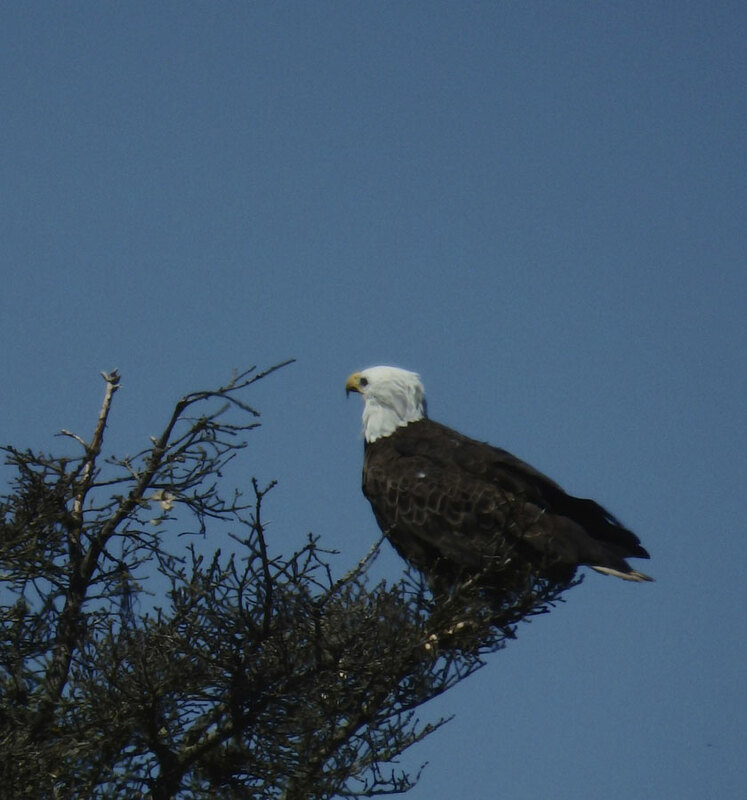 As the only Canadian vessel permitted to land tourists on Machias Seal Island, you'll thrill to the thousands of birds greeting you as you step ashore on this small, unspoiled piece of nature. 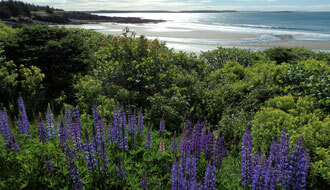 Enjoy your stay on our island with a quiet, relaxed atmosphere, warm hospitality and fresh salt air. Hello Outdoor Adventurer! If you're an incurable, adventure loving romantic, then our adventures or ocean retreat cabin are just for you. Set in idyllic locations, you'll feel further away from the helter-skelter rush of modern day living than you ever imagined was possible! Life will adjust to a new pace and you will spend your time exploring forgotten coastlines and breathing in the invigorating sea air. Adventure High was designed to offer active people of all ages an unforgettable outdoor adventure and a unique place to stay. Our tours and cabin are designed for you! We are a small organization, priding ourselves on giving an enjoyable, relaxing personal experience. L. Keith Ingersoll along with other interested residents of Grand Manan formed the Gerrish House Society in 1961. 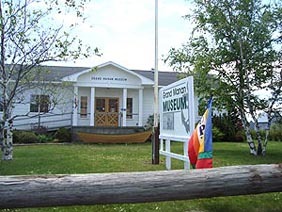 On the18th of June, 1974 the name was changed to the Grand Manan Museum. 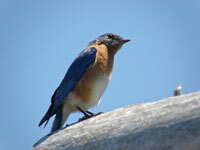 The Museum preserves local Island history and is permanent home to the three hundred birds in the Allan Moses Bird Collection. This Collection was given to the children of Grand Manan in 1951. In 1967, the original museum was built through donations and help from the Provincial and Federal Governments. In 1979, the Gannet Light house Fresnell light was moved beside the Museum and the Gallery was built around it. In 1997, the Museum was doubled in size in order to store the many artifacts and archives. Islanders and Island industries of Grand Manan have always been generous in keeping the Museum alive and vibrant. The museum has many more items on display than can be viewed on this website. We will be updating this site as displays and information about activities change. Come and visit a gem of a gallery. Discover the creative work of island artists, and exhibits featuring work from further away. We welcome over 1000 visitors each season, and many of our artists sell their work—a perfect memento of your visit to Grand Manan Island, and an opportunity to add to your art collection. 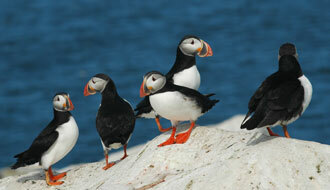 There are 391 New Brunswick bird species currently accepted by the New Brunswick Bird Records Committee. 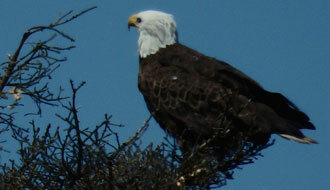 The following list of these birds is given by English name (American Ornithologists' Union), French name (Commission internationale des noms français des oiseaux), scientific name (American Ornithologists' Union), and also the status code from the 1985 Checklist of New Brunswick Birds. 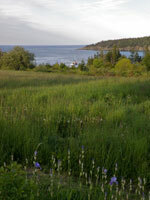 The island of Grand Manan is the perfect location for your family's reunion! This video shows one family's stay on the island.